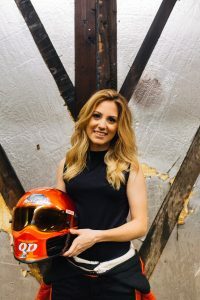 Meet the Queen of Diamonds drag car racer Sarah Edwards, and find out what it feels like yo travel at speed in excess of 300mph! Sarah reflects on her memories at Old Bridge Township Raceway Park with the Capital Sports Report. 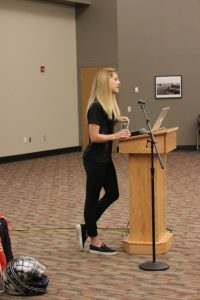 Edwards wasn’t speaking to the whole senior class, though, instead addressing only a small group who remained in classes in the last month of the school year. This summer, following her best amateur season to date, the twenty-four-year-old Trinity High School grad goes pro in the most dream-come-true way possible. 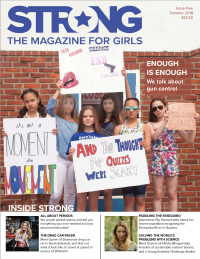 “When I left, I said, ‘That’s what I want to do one day’,” Edwards, a Stamford resident and Trinity Catholic High School graduate, told Daily Voice. Some day the goal is to reach 300 miles an hour on the strip as a drag racer. 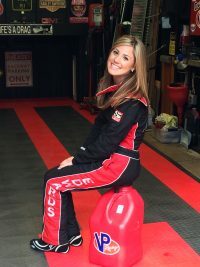 Right now 22-year old Sarah Edwards of Stamford, Connecticut has pushed it to 180 miles an hour in just over 7 seconds.